Wasiuta, O., Wasiuta, S., Asymmetric and hybrid geopolitical threats, European Journal of Geopolitics, 6, 2018, pp. 4-36. Wilczyński, W. J., The idea of progress and contemporary culture war: the case of geography, European Journal of Geopolitics, 6, 2018, pp. 37-65. 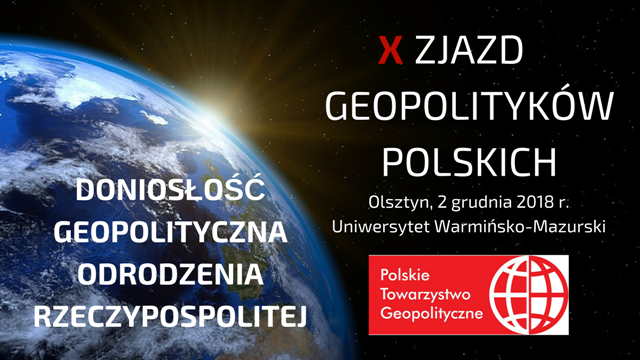 Wilczyński, P. L., International recognition as a tool of military conflicts solution, European Journal of Geopolitics, 6, 2018, pp. 66-87. Chechliński, Z., The role of identity and rationality in case of potential Saudi-Israel alliance from a constructivist perspective, European Journal of Geopolitics, 6, 2018, pp. 88-104. Głogowski, A., The ideological base of radicalisation of young muslims, EJG, 5, 2017, pp. 4-21. Szul, R., Migration and language in the Americas and Europe 20th and 21st centuries, EJG, 5, 2017, pp. 22-61. Rogala-Lewicki, A., Citizens' involvement in public sphere. Information as a ius publicum factor of the state of democracy, EJG, 5, 2017, pp. 62-98. Sima, M., The idea of Great Hungary in historical perspective,EJG, 5, 2017, pp. 99-128. Petrović, A., Kamčevski, D., Kosovo bubble – from inflation of virtual identity to the end of history, European Journal of Geopolitics, 4, 2016, pp. 5-50. Fogaš, A., Verba, V., Ongoing conflicts in the Middle East and their impact on Europe, European Journal of Geopolitics, 4, 2016, pp. 51-67. Myślicki, A., Ukrainians’ crisis immigration to Poland – a chance for Polish demography?, European Journal of Geopolitics, 4, 2016, pp. 68-94. Zupančič, J., The european refugee and migrant crisis and Slovenian response, European Journal of Geopolitics, 4, 2016, pp. 95-121. Biger, G., Latrun – a no man’s land in Israel, European Journal of Geopolitics, 4, 2016, pp. 122-131. Hallam, J. (People for Nuclear Disarmament / Human Survival Project), Measures to reduce and eliminate the risk of accidental, mistaken, unauthorized or intentional nuclear weapon detonations, European Journal of Geopolitics, 4, 2016, pp. 132-152. Adam Myślicki: THOMAS, A. R. (ed.) „Geopolitics, Development, and National Security: Romania and Moldova at the Crossroads”, European Journal of Geopolitics, 4, 2016, pp. 153-160. IŠTOK, R., PLAVČANOVÁ, D., Geostrategic position of Slovakia (selected issues), European Journal of Geopolitics, 3, 2015, pp. 4-20. BRUNN, S. D., Geopolitics in a topsy-turvy world: ten futuristic perspectives, European Journal of Geopolitics, 3, 2015, pp. 21-49. 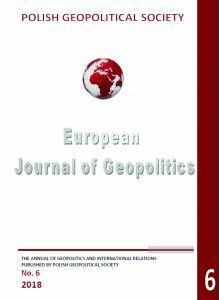 KOSZEK, R., Geopolitics in the geographical work of Strabo, European Journal of Geopolitics, 3, 2015, pp. 50-68. 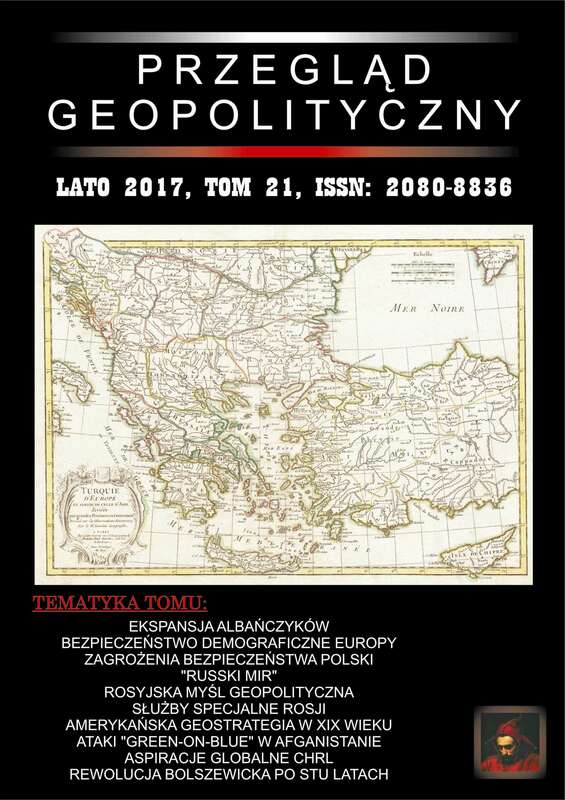 WILCZYŃSKI, W. J., An examination of geography and geopolitics in the light of technological development, European Journal of Geopolitics, 3, 2015, pp. 69-92. Yoon, H. K., Geomancy and social upheveals in Korea, European Journal of Geopolitics, 2, 2014, pp. 5-23. Brunn, S. D., Language, identity andboundary disputes in the emerging virtual state: challenges from the Internet, Google and social media worlds, European Journal of Geopolitics, 2, 2014, pp. 24-43. Chiung, W. T., Ethnolinguistic politics in Taiwan, European Journal of Geopolitics, 2, 2014, pp. 44-78. 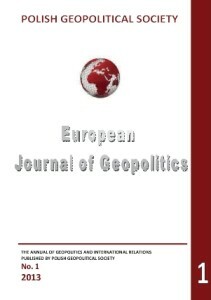 Wilczyński, W. J., Geopolitical naming and metageography in the east of Europe, European Journal of Geopolitics, 2, 2014, pp. 79-123. Mrozek J.J., Freedom of speech in Poland – methodology of research, European Journal of Geopolitics, 2, 2014, pp. 124-131. Sykulski L., Geopolitical risk in the analysis of international relations, European Journal of Geopolitics, 2, 2014, pp. 132-144. Kozárová, I., Driving forces of globalization, European Journal of Geopolitics, 1, 2013, pp. 5-36. Falkowski, M., Pytel, M., Typology of basic academic notions related to the transport system, European Journal of Geopolitics, 1, 2013, pp. 37-60. Ištok, R., Plavčanová, D., Russian geopolitics and geopolitics of Russia: phenomenon of space, European Journal of Geopolitics, 1, 2013, pp. 61-94. 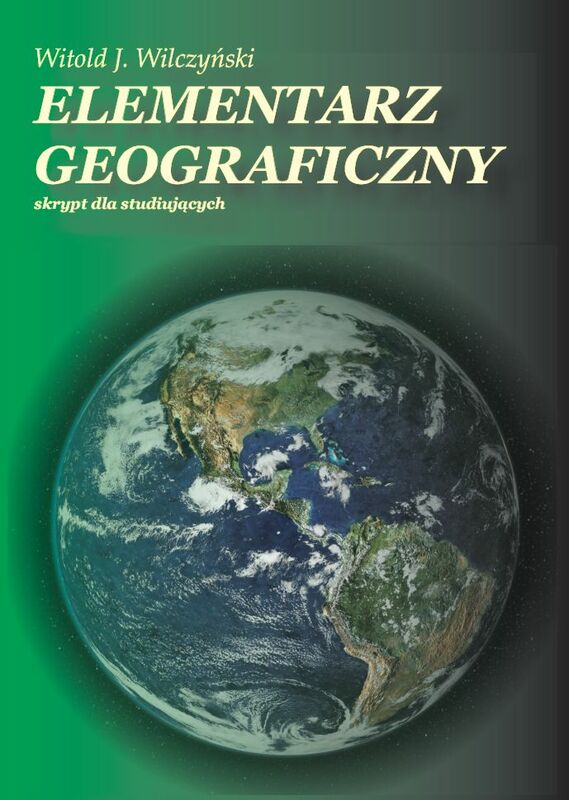 Wilczyński, P. L., Joachim Lelewel's geographical ideas and heritage, European Journal of Geopolitics, 1, 2013, pp. 95-108. Kreutz, A., Russian problem: Russia's place in the world – an attempt at historical and geopolitical analysis, European Journal of Geopolitics, 1, 2013, pp.109-157. Mrozek J.J., Freedom of speech and religious freedom, European Journal of Geopolitics, 1, 2013, pp. 158-164. Imperija prostranstwa. Chrestomatija po geopolitikie i geokulturie Rossii.Ed. D. N. Zamiatin, A. N. Zamiatin, ROSSPEN, Moscow 2003, p. 717. – by Potulski, J., European Journal of Geopolitics, 1, 2013, pp.158-164.